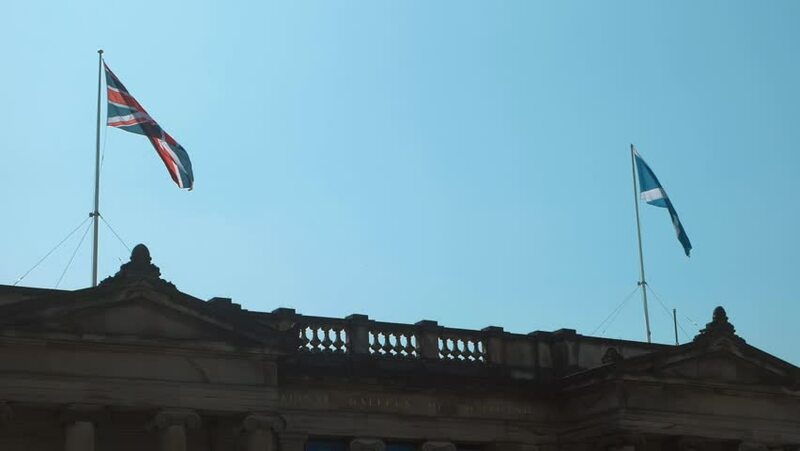 A slow-motion video of the United Kingdom and Scotland flags waving in the wind on top of a building. hd00:24Texas and USA flags at half mast. 4k00:15Church in Stockholm. Sweden. Shot in 4K (ultra-high definition (UHD)). hd00:21Lisbon, Portugal - CIRCA October 2009: Pan over silhouette of buildings; sunset.